"As Palace away games have seen just 15 goals in seven matches (scored six, conceded nine), this looks ideal for another narrow Brighton win." There's been a little more balance in Brighton's home and away performances this season after they won 29 of their 40 points at the Amex Stadium last term. Indeed, they've already matched their number of road wins (two) after successes at Newcastle and, most recently, Huddersfield at the weekend. But home is where they continue to do most damage and they head into this one having won two and drawn one of their last three games on their own patch. They were fortunate to get some refereeing decisions go their way at Huddersfield to but to win after being a goal down after just 55 seconds was a fine effort and saw the Seagulls end the weekend in a healthy 11th place. After eight games without a win - six of those defeats - Crystal Palace gave themselves a timely boost with a 2-0 home win at the weekend. The caveat is that it came against a Burnley side in freefall so it's a little too soon to suggest a corner has been turned. To be fair to Roy Hodgson, his side have performed better than their results suggest but we've seen that play out before and there comes a time when the excuse wears thin. Palace have actually won more games on the road this season than at home although the numbers involved are small (two v one). It's tight at the bottom though so their meagre haul of 12 points from 14 games is good enough for 14th in the table even though it's just four points off the bottom. The market finds this pair hard to split with Crystal Palace just about edging it at [2.9]. Brighton are [2.96] while The Draw is [3.05]. In my mind, that's undervaluing Brighton and giving too much stock to Palace's weekend win. Brighton have the same number of home wins (three) as Spurs, Man Utd, Bournemouth and Leicester this season and only the top three in the table have suffered fewer home defeats. The Amex has been something of a fortress so I don't see how struggling Palace can be shorter in the market. Yes, there's the scenario whereby Wilfried Zaha dribbles past four men and curls in a winner but Palace's golden boy hasn't scored since mid-September, a run of eight games. They're the second lowest scorers in the Premier League with just 10 goals so no-one else has stepped up. The pair played out a 0-0 draw in this fixture last year but they met again in the FA Cup in January and Brighton edged it 2-1. As well as that FA Cup tie, all five of Brighton's victories this year have been by the minimum margin - a 3-2, a 2-1 and three 1-0s. It's possible to back them in the winning margin market at [4.4] but I prefer a couple of correct scorelines. As Palace away games have seen just 15 goals in seven matches (scored six, conceded nine), this looks ideal for another narrow Brighton win. I'll side with 1-0 - their favourite scoreline - at  but also play 2-1 at [13.0]. Former Palace man Glenn Murray was rested at Huddersfield, coming on as a 79th-minute sub. 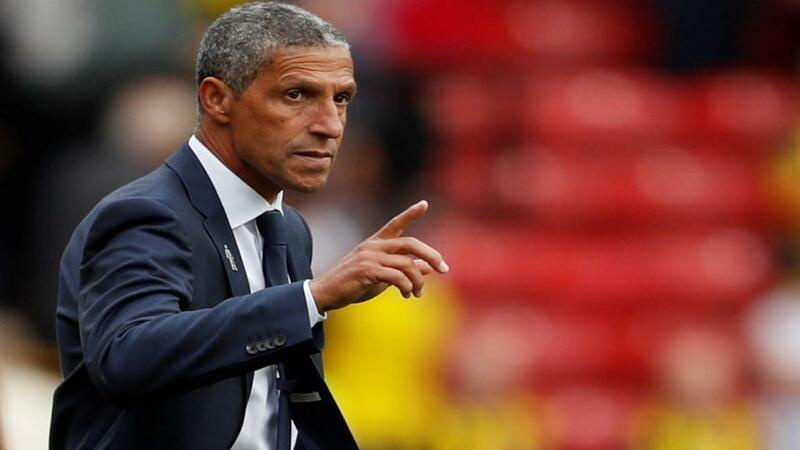 That makes plenty of sense as Hughton was no doubt saving the 35-year-old's legs for this home game. Murray has scored six of his seven goals this season at the Amex, netting in each of the last three of which two were 1-0s. The planets look perfectly aligned for a Same Game Multi punt of Murray to score in a 1-0 Brighton win and that pays a very healthy 20.75/1. It would be rude not to. In all competitions, Glenn Murray has scored five goals in eight appearances in this fixture, scoring three in five games for Crystal Palace and two in three for current side Brighton.